Hello Linux Geeksters. As you may know, CherryTree is a text editor, with the features of a modern editor, such as syntax highlighting, spell check, export to html, password protection, and many others. 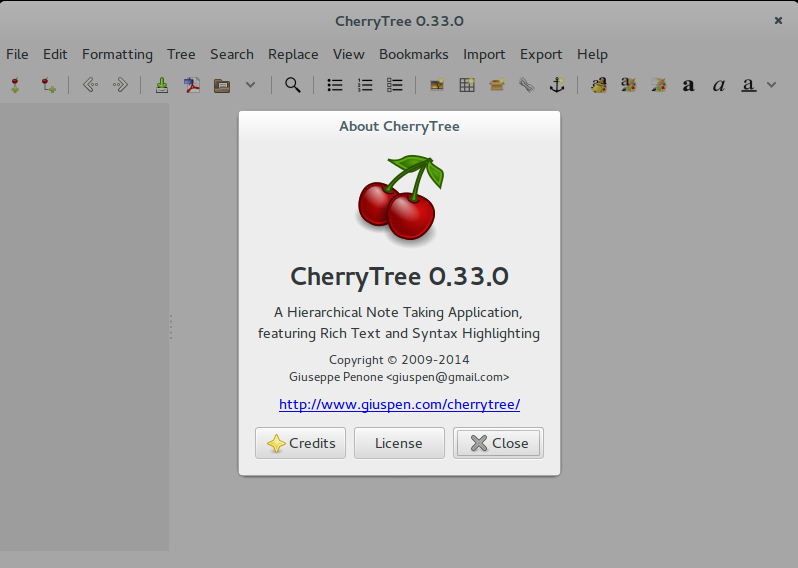 The latest version available is CherryTree 0.33.0, which has been released recently. For more information, see the official release announcement. In this article I will show you how to install CherryTree 0.33.0 on Ubuntu, Linux Mint, Elementary OS, Debian and their derivative systems.